Have you ever experienced that someone posted something sad for instance and you want to react but pressing “like” just feels wrong? 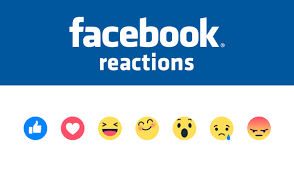 Now Facebook has launched “Facebook reactions” where you can choose from a set of different emotions next to the regual “like”. 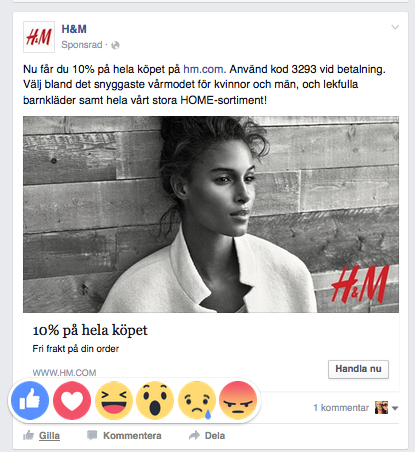 Find Facebook reactions by hovering over the like button (see above) on a computer, or simply by touching the like button on a mobile. More reactions mean more ways for your audience to interact! On the postive side that means more interactions, which is a good thing. On the negative side it might not be fun if your audience is reacting by pressing the angry button to your ad or post, which could look bad. 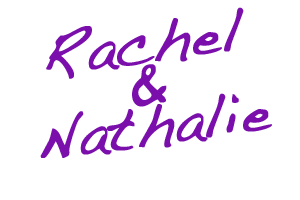 It will be interesting to follow how Facebook-users will use this new tool.